Altogether, more than 2,500 buildings and installations with a total area of 2.7 million square miles were built in 2016. Not since the years following World War II has Russia seen such a rapid development of its military infrastructure. In 2016 the Russian Defense Ministry was not only actively procuring new armaments and military hardware, but it also oversaw hundreds of construction projects throughout the country. The volume of construction work is “colossal and comparable in scale to the post-war period,” said Deputy Minister Timur Ivanov in an interview with Kommersant. Work is currently under way on more than 2,000 projects - including strategic sites and social facilities. Among the largest projects were a coastal infrastructure project in Vilyuchinsk (4,000 miles east of Moscow), berth spaces for Project 636 submarines in Novorossiisk (720 miles south of Moscow), facilities at compounds for Iskander-M missile brigades in the Southern Military District, and work in the Arctic zone. In the course of just five months the Defense Ministry rebuilt the Tula Suvorov military academy (100 miles south of Moscow), and also started construction of the Petrozavodsk presidential cadet college (420 miles north of Moscow). 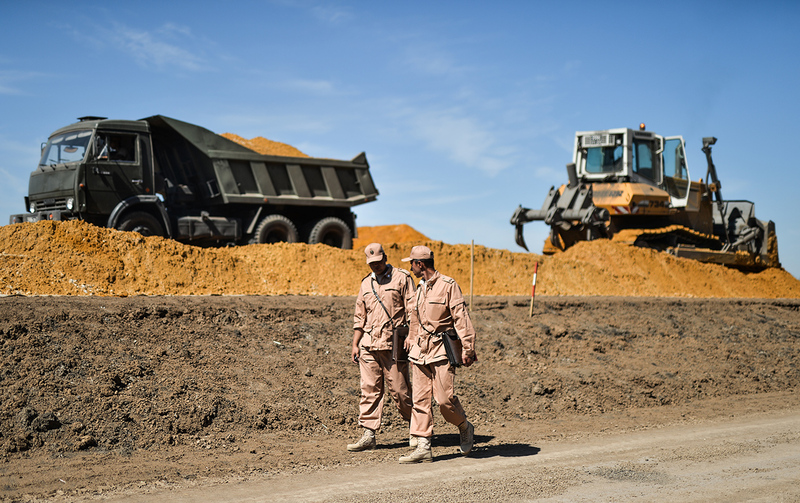 Around 30,000 personnel in total have been employed in this construction work. By switching to standardized designs for particular types of facilities (canteens, barracks, staff buildings, and etc. ), new sub-units can be designed and built quickly. Originally, everything was built from ferroconcrete, and subsequently replaced by metal-frame construction, said Ivanov. Today, modular construction technology is used and buildings can be put up very quickly. As for residential projects, more than 8,000 apartments will be completed in Moscow alone this year. Now, all newly-arrived hardware is kept in up-to-date storage facilities. Such infrastructure has already been built on the Kuril islands of Iturup and Kunashir, among other places.